2. Gerry Cheevers, Boston Bruins. 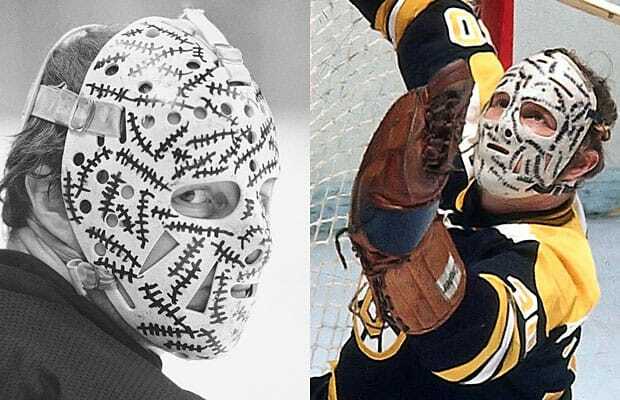 Stitches mask designed by Gerry Cheevers, 1970-80. This could be the most iconic mask of all time, and it's also the scariest. After getting hit in the mask by a puck during practice, Cheevers sharpie penned a stitch mark denoting where the puck had hit. He would continue to draw on a stitch every time he took a subsequent puck to the head. An edition of one, the white mask became his career-long work in progress.